Nearly every building, from residential to commercial, is outfitted with some type of piping, heating, cooling, or fire protection system. Eventually, a problem, leak, mechanical failure or recall will arise. The Dropmaster DM12 eliminates residual water and odor in these systems, allowing contractors to make repairs and change outs in a safe and economical manner. 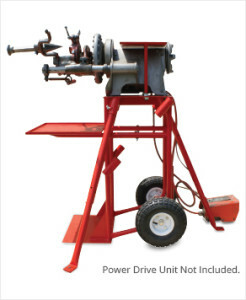 Gecco Inc. manufactures high quality products designed to reduce job time and increase profits. 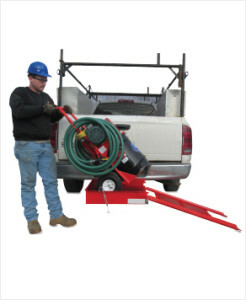 The Dropmaster DM12, GDM-300 cart and the hitch-mounted carrier are the ideal products for fire protection contractors and mechanical contractors to use. The Dropmaster is a tool that will provide the contractor with a clean and effective way to change sprinkler heads, make cuts in areas with trapped water and use time-saving labor to perform other jobs where smelly, dirty water has been a problem. 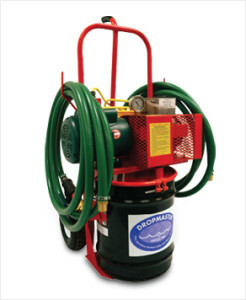 Fire protection and mechanical contractors will benefit from immediate savings using The Dropmaster. Many contractors report labor savings in the 40%-60% range. Labor savings means more productive hours for the fire protection and mechanical contractor and less down time for their clients.